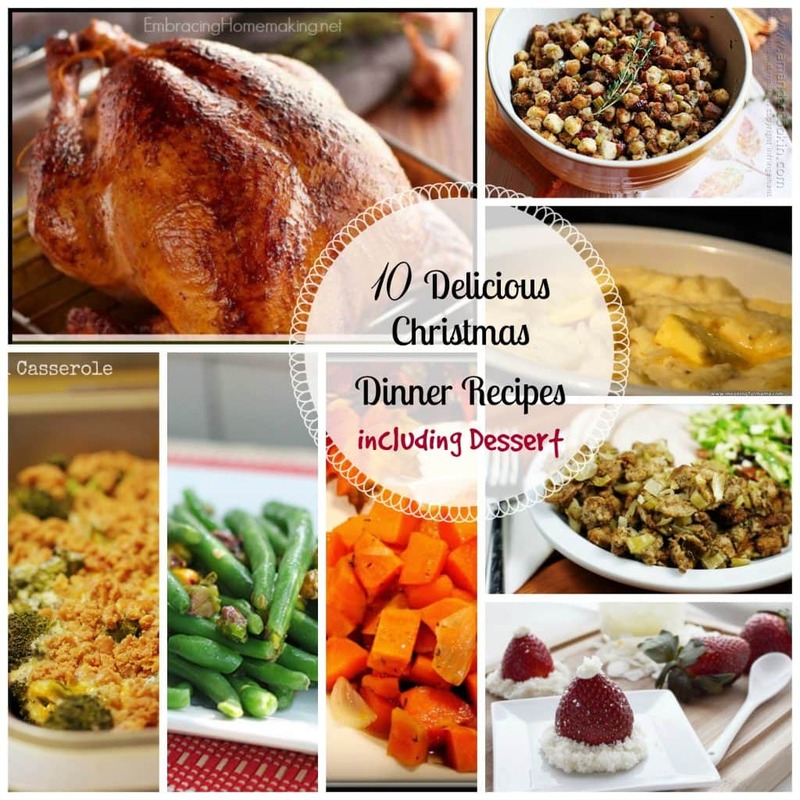 10 Delicious Christmas Dinner Recipes including Dessert! The person putting together a Christmas Dinner can sometime become overwhelmed with menu planning. Not everyone has the same taste and the chef often ends up making several different dishes or modifying the seasonings so everyone will enjoy the meal. Start your menu planning with these 10 Delicious Christmas Dinner Recipes including dessert and be ahead of the game! You also need to be sure you have the right tools for cooking. Making mashed potatoes is so much easier when you have a really good potato masher, and I know we’ve all experienced not having a quality roasting pan. And if you like making your meal festive, check out these adorable Santa Suit Christmas Silverware Holder Pockets and this CD of Christmas Dinner music. I’ve got 10 Delicious Breakfast recipes for Christmas or New Year’s, too! And check out these fabulous Christmas Cookie Recipes!